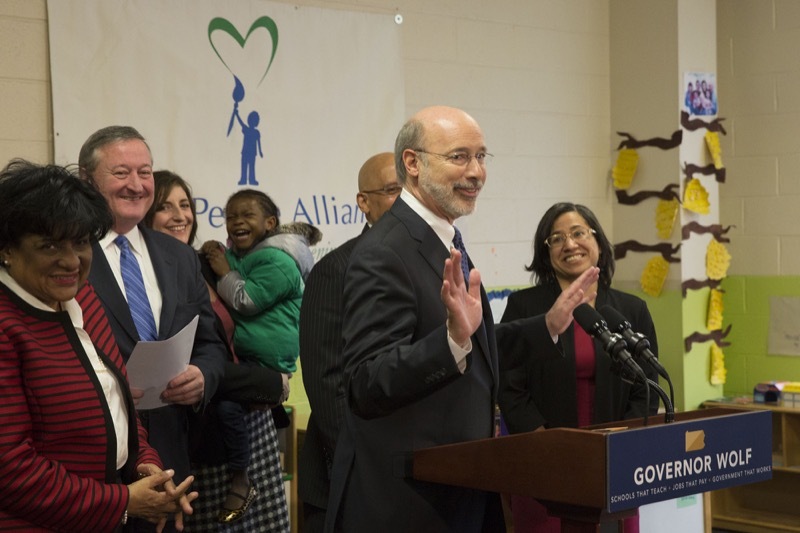 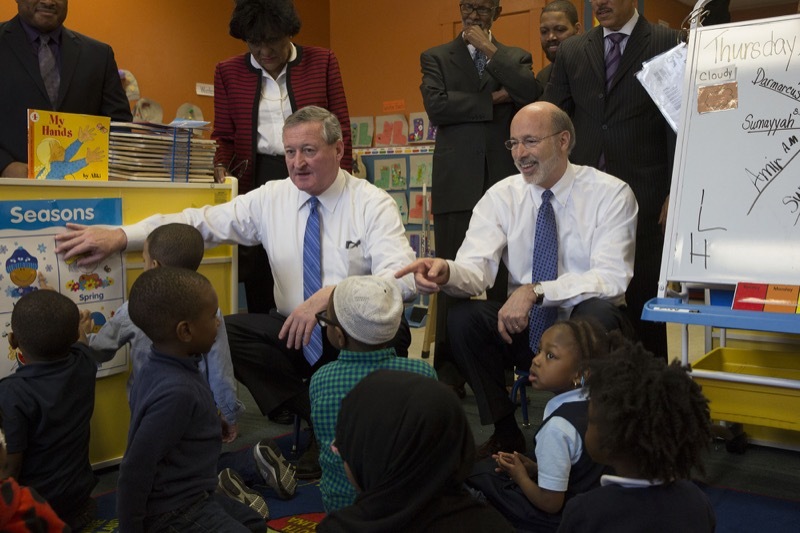 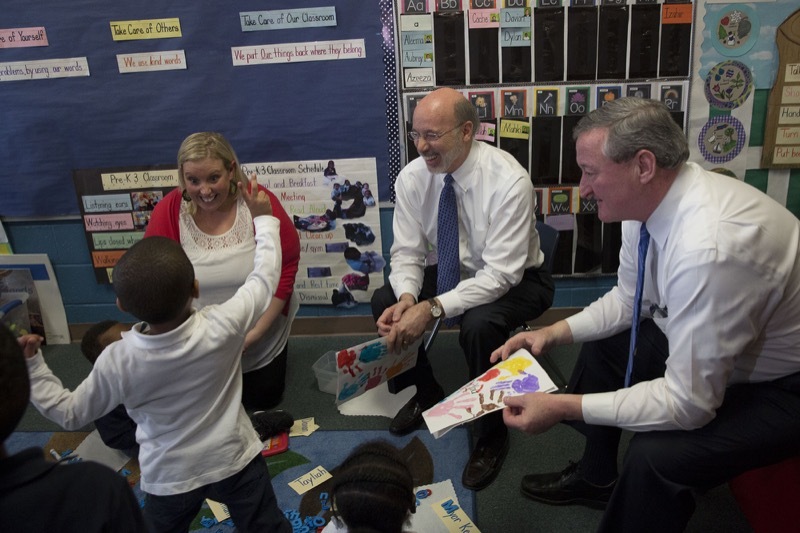 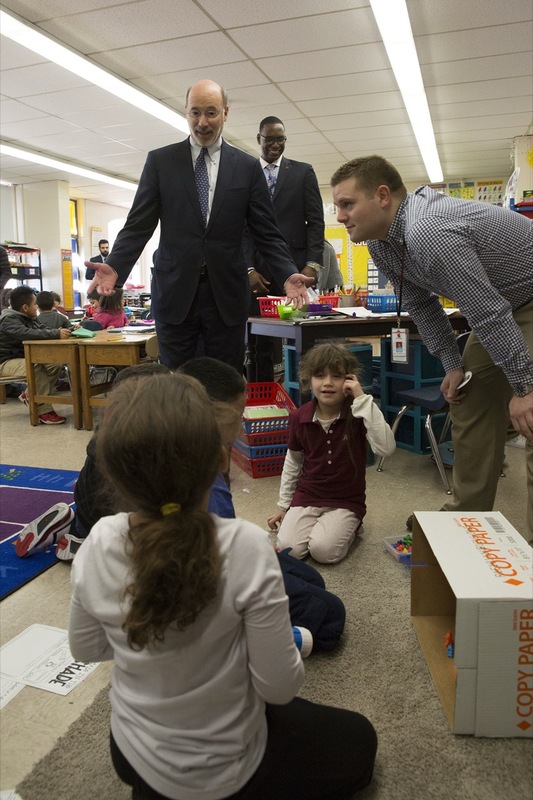 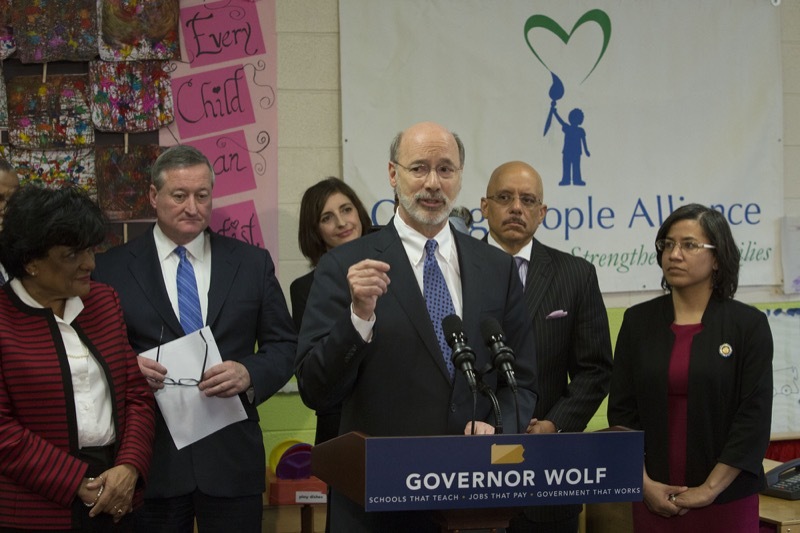 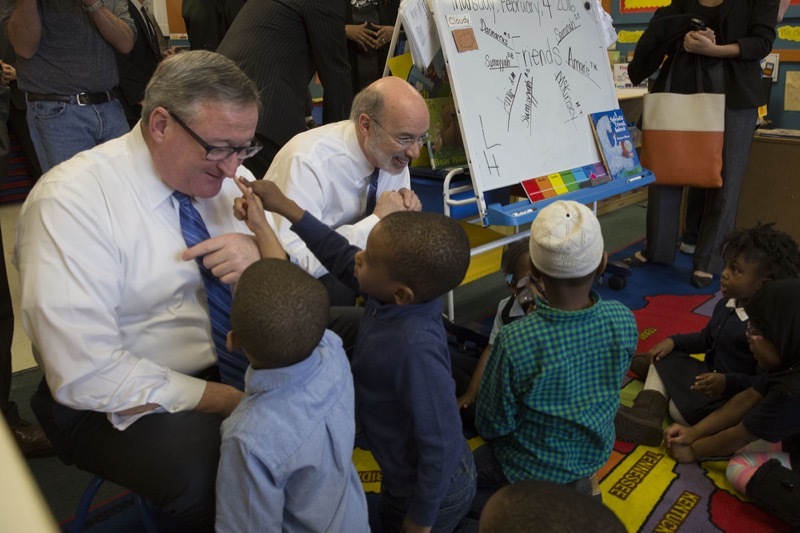 Governor Tom Wolf today joined Philadelphia Mayor Jim Kenney and Education Secretary Pedro A. Rivera to announce the proposed early education funding levels for the 2016- 17 budget. 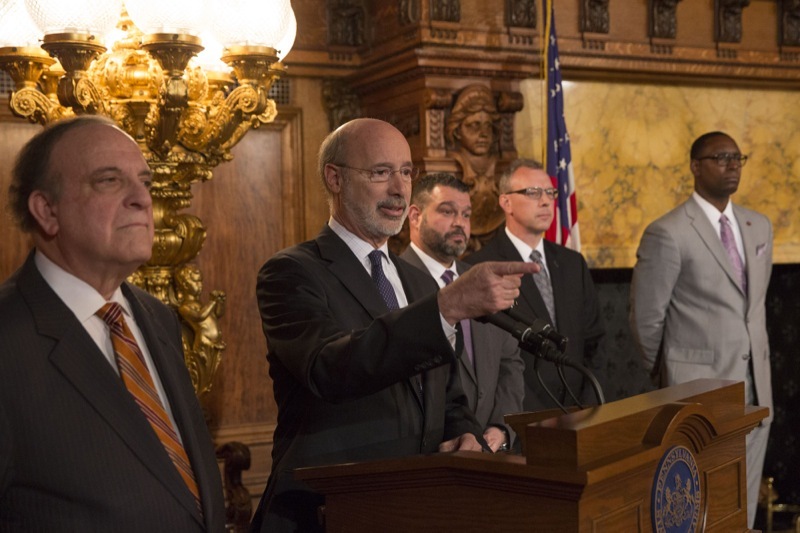 Pennsylvania stands at a crossroads, and Governor Wolf is proposing a clear path for a promising future in the commonwealth. 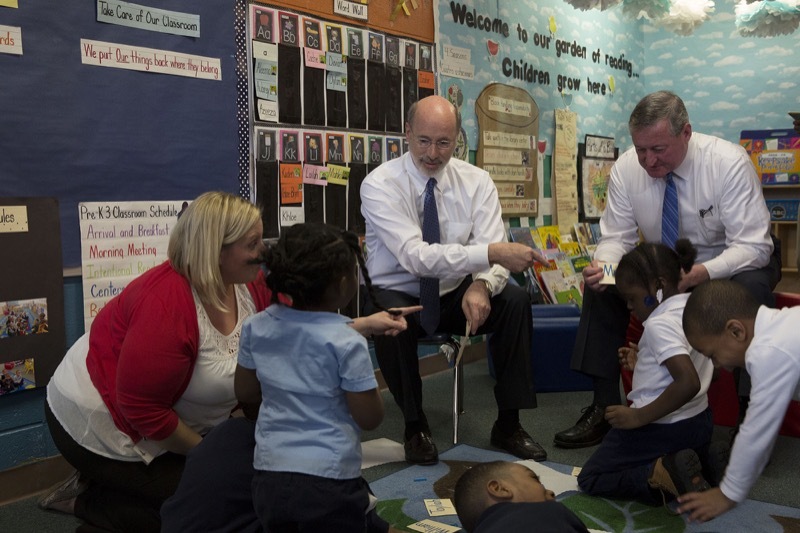 The governor's proposal includes a $60 million increase in high-quality early childhood education. 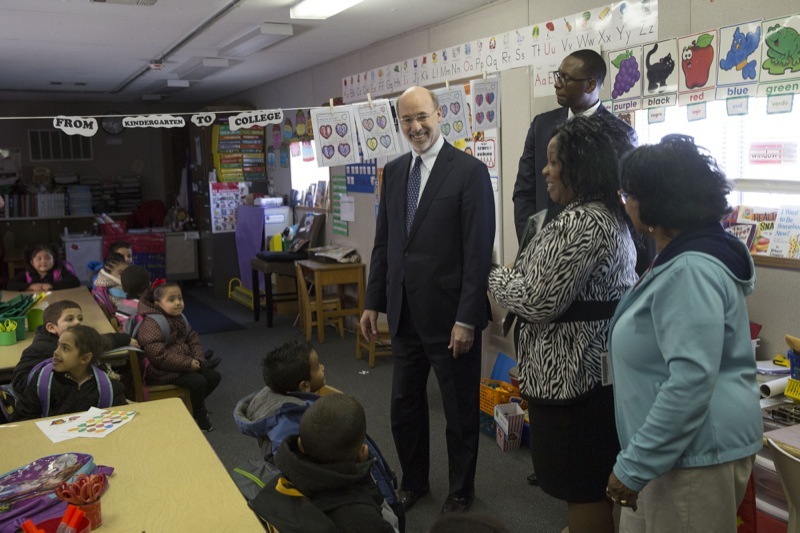 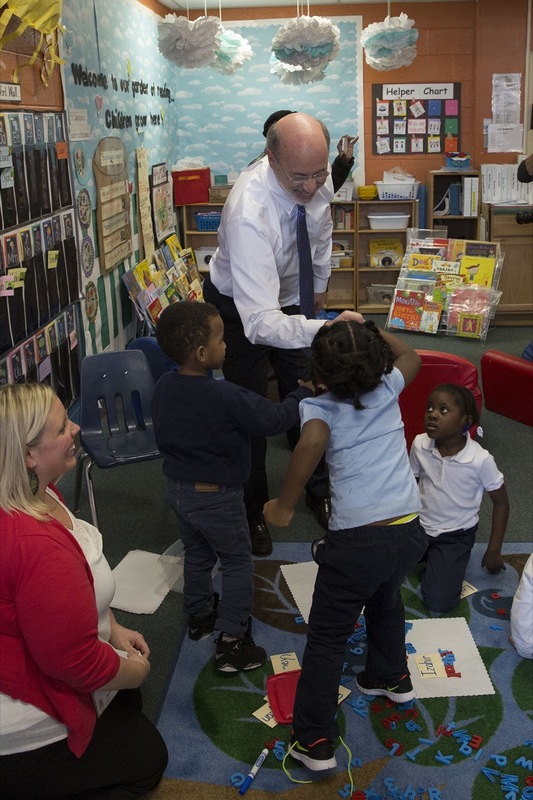 This funding increase builds upon a $60 million investment in 2015-16 to enroll about 14,000 additional children in Pennsylvania Pre-K Counts and the Head Start Supplemental Assistance Program. 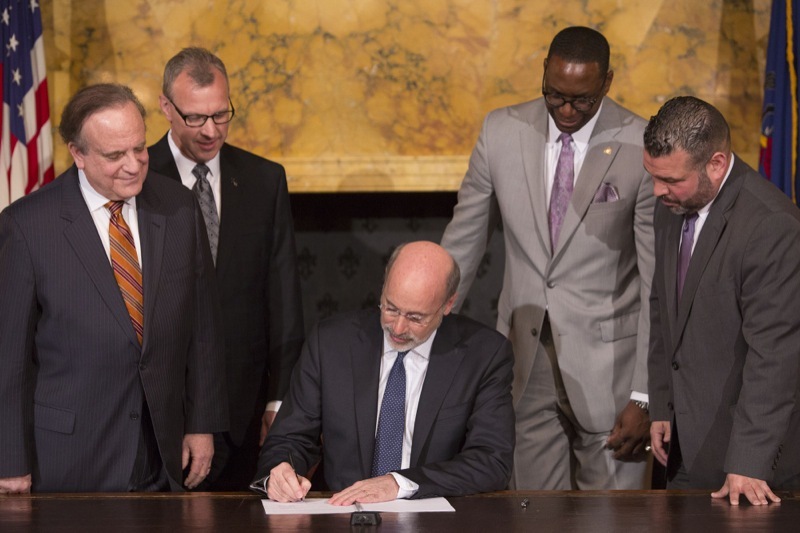 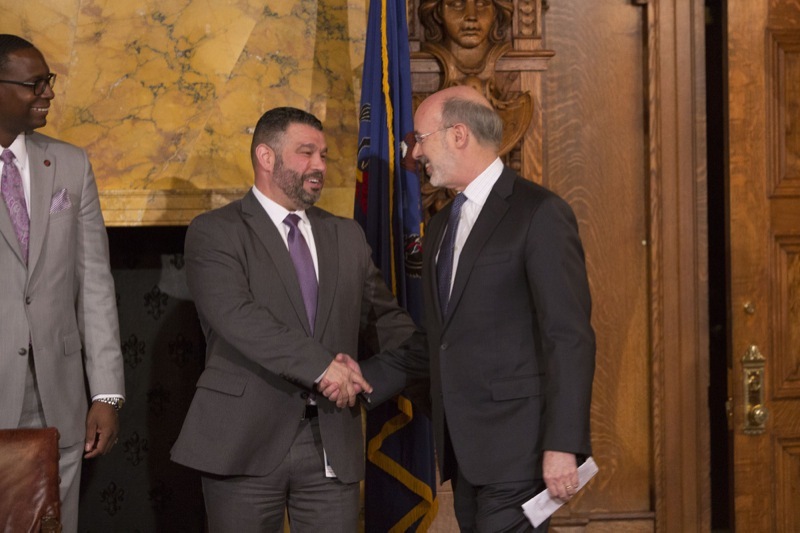 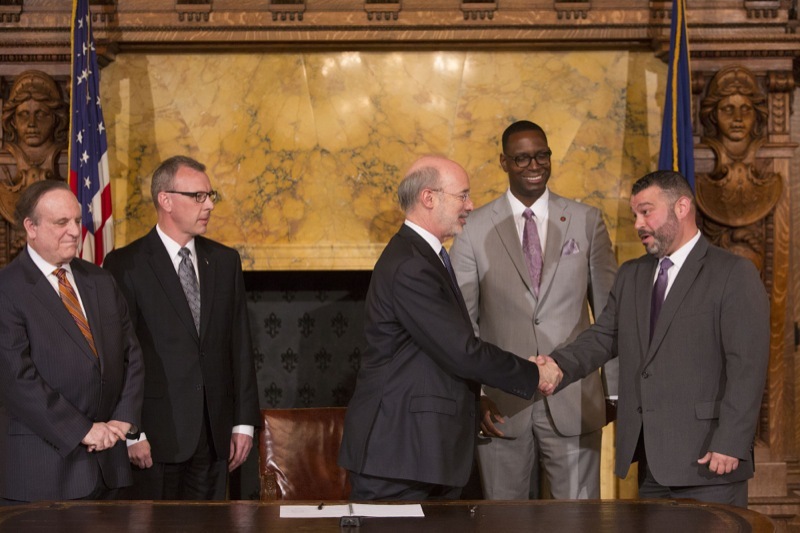 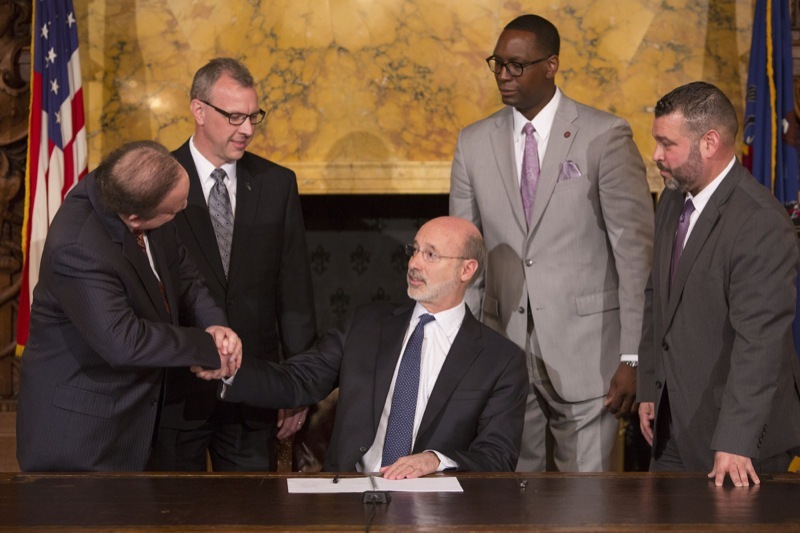 Governor Wolf Signs Bill to Delay the Implementation of the Keystone Exams. 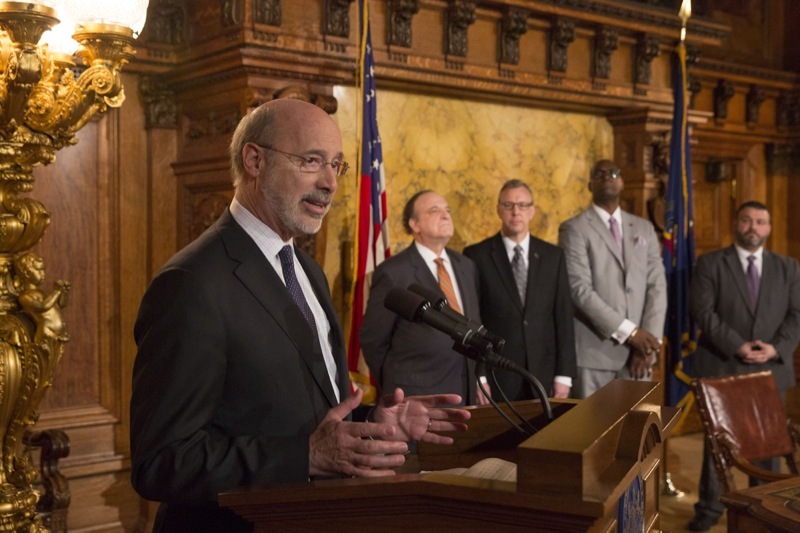 Harrisburg, PA - Today, Governor Wolf signed Senate Bill 880 into law which delays the graduation requirement associated with the state's end-of-course tests, known as the Keystone Exams, for two years, until the 2018-19 school year. 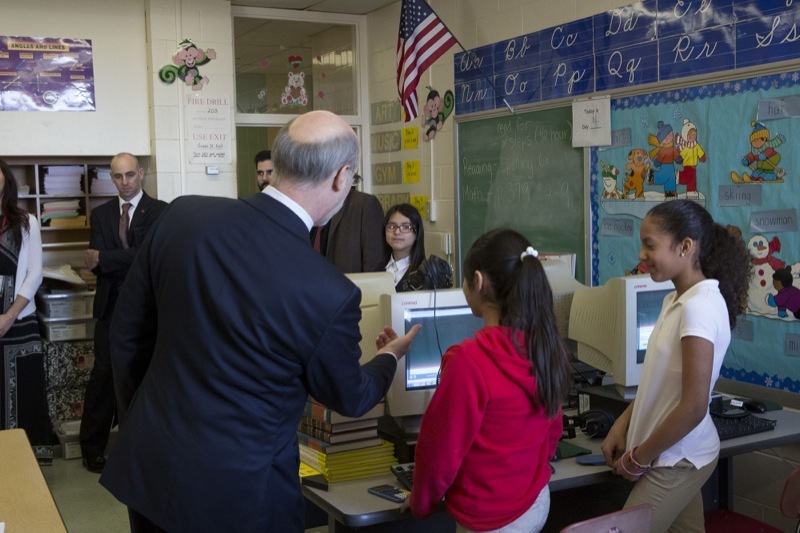 The Keystone exams are intended to ensure that students are prepared for postsecondary education or the 21stcentury workforce. 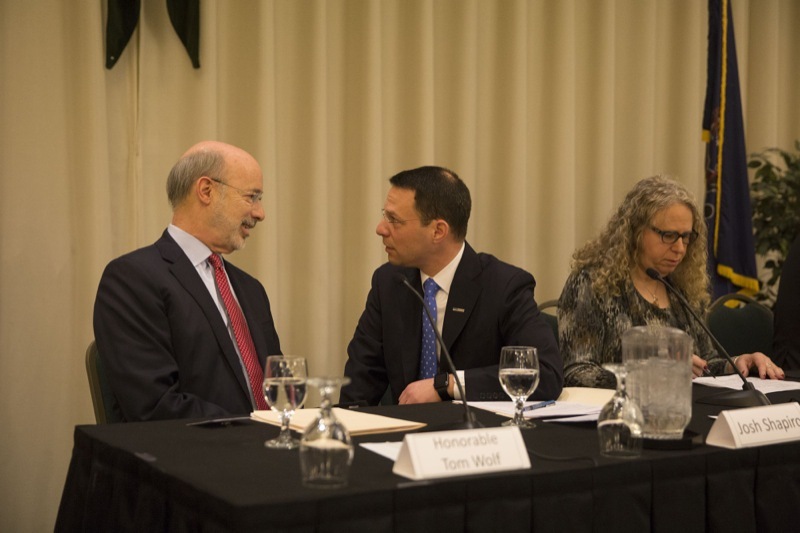 However, there have been issues with the implementation of the Keystone Exams, and it is prudent to allow more time to evaluate the best options of measuring student success. 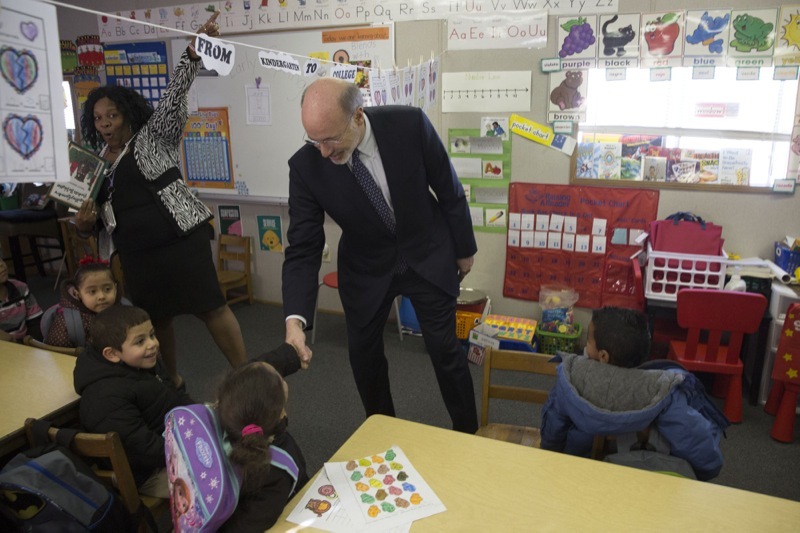 No shadow! 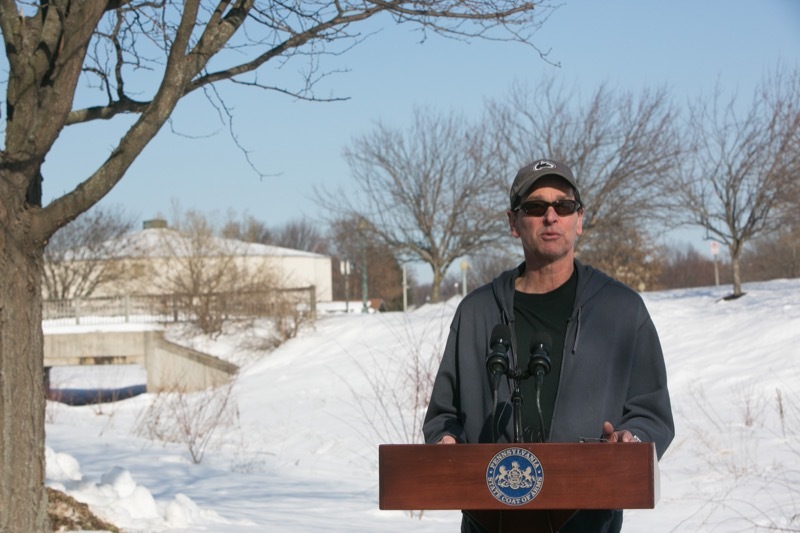 Phil predicts and early spring for the 130th Groundhog Day. 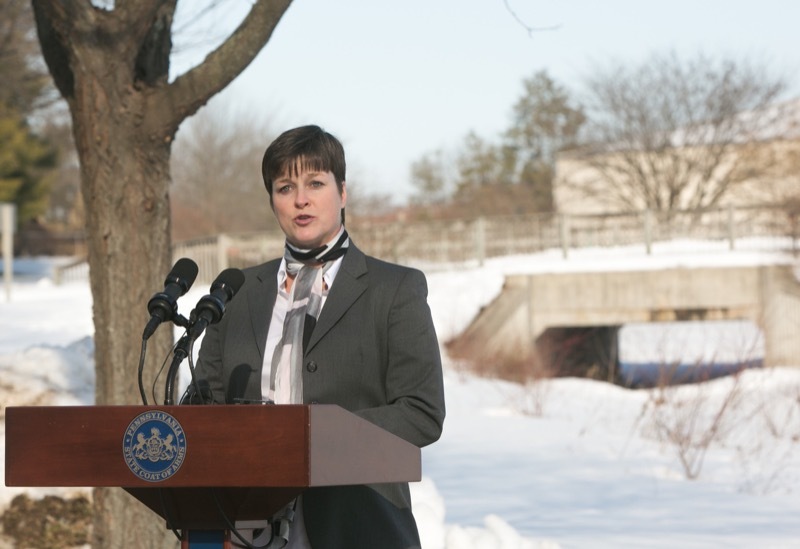 Insurance Commissioner Teresa Miller today said Pennsylvania homeowners, who may be facing steeply rising premiums under the federal government's flood insurance program, may be unaware they can get private market flood coverage, in many cases at substantial savings as compared to the federal government coverage. 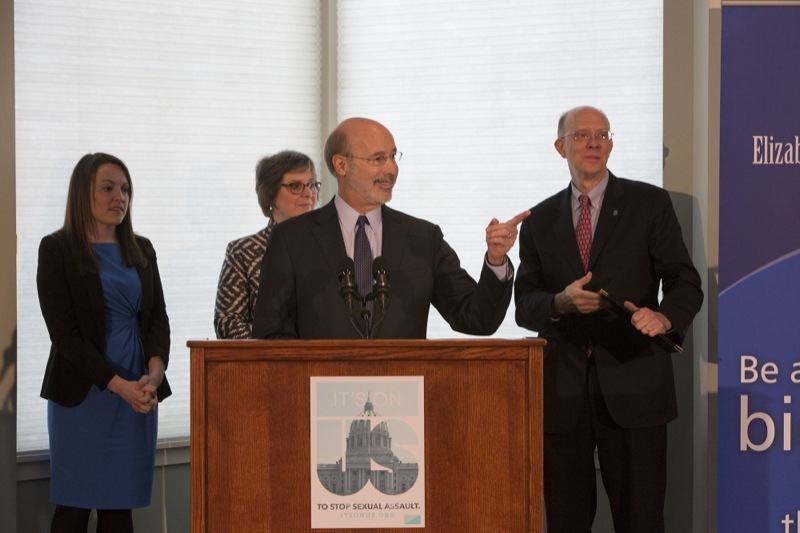 To help these consumers, Commissioner Miller announced the creation of a new webpage, providing a one-stop shop for information on flood insurance available to Pennsylvania homeowners and renters. 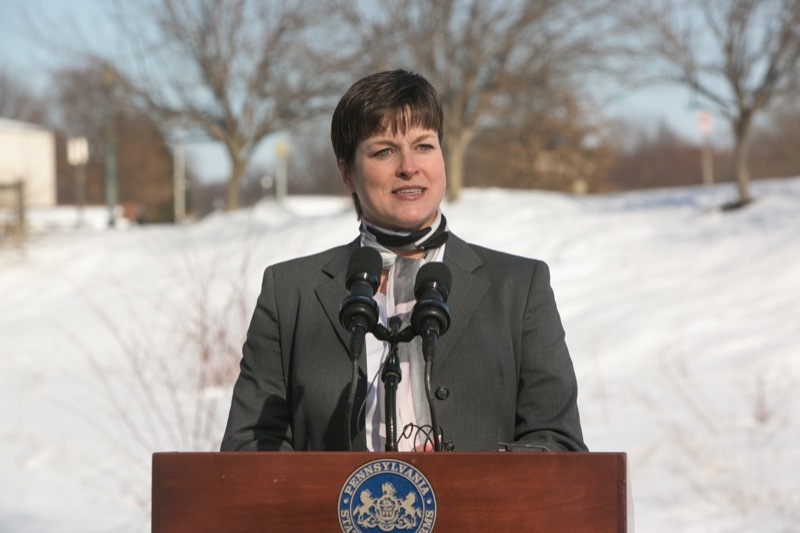 Hershey, PA - Insurance Commissioner Teresa Miller today said Pennsylvania homeowners, who may be facing steeply rising premiums under the federal government's flood insurance program, may be unaware they can get private market flood coverage, in many cases at substantial savings as compared to the federal government coverage. 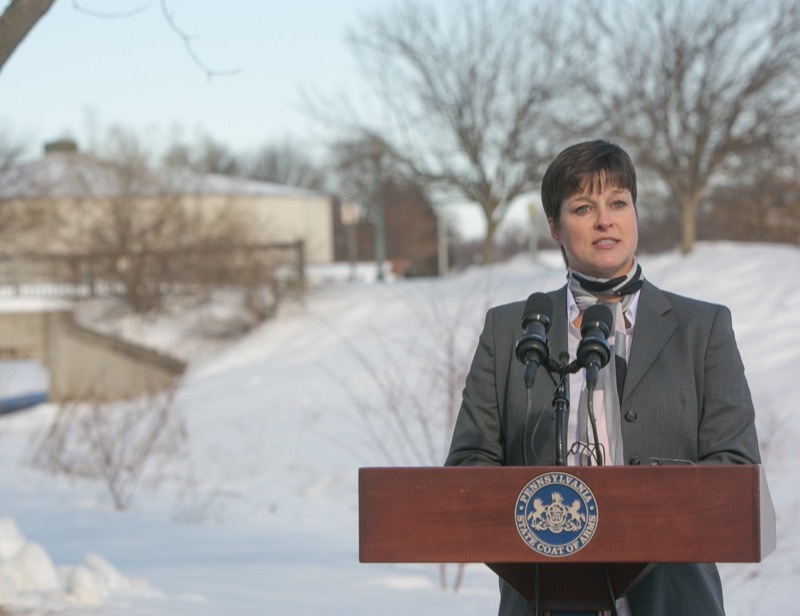 To help these consumers, Commissioner Miller announced the creation of a new webpage, providing a one-stop shop for information on flood insurance available to Pennsylvania homeowners and renters. 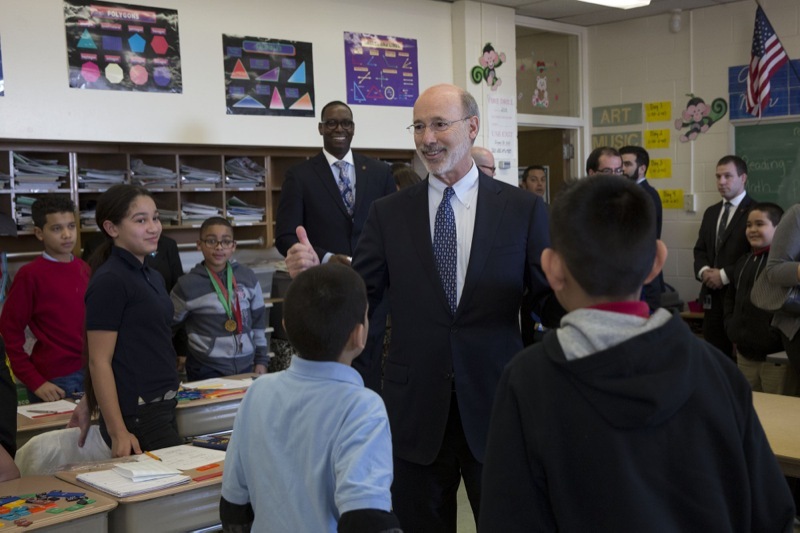 Governor Tom Wolf today announced a $200 million increase to basic education funding as part of his 2016-17 budget proposal. 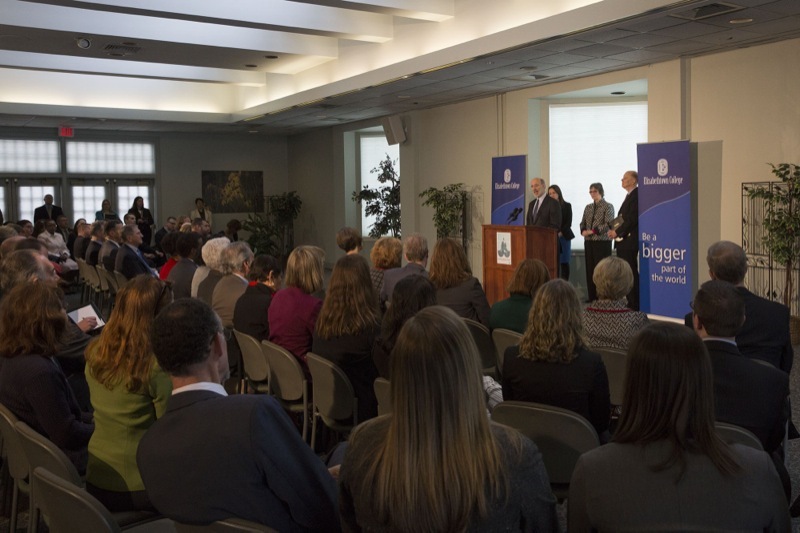 The investment, which represents a 3.3 percent increase, is in addition to the $377 million increase contained within the 2015-2016 bipartisan budget compromise. 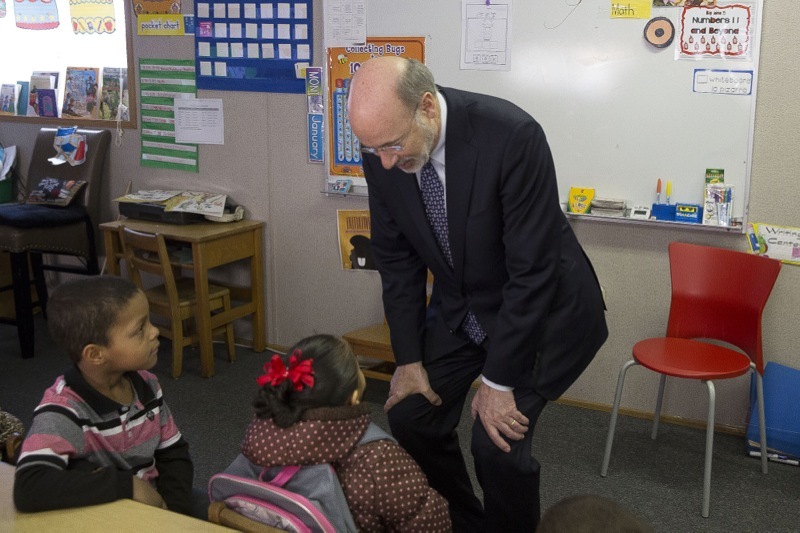 Reading, PA - Governor Tom Wolf today announced a $200 million increase to basic education funding as part of his 2016-17 budget proposal. 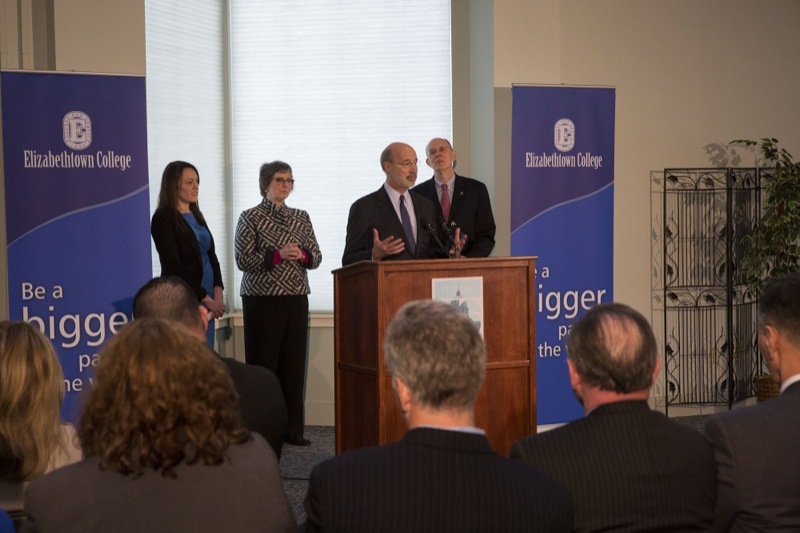 The investment, which represents a 3.3 percent increase, is in addition to the $377 million increase contained within the 2015-2016 bipartisan budget compromise. 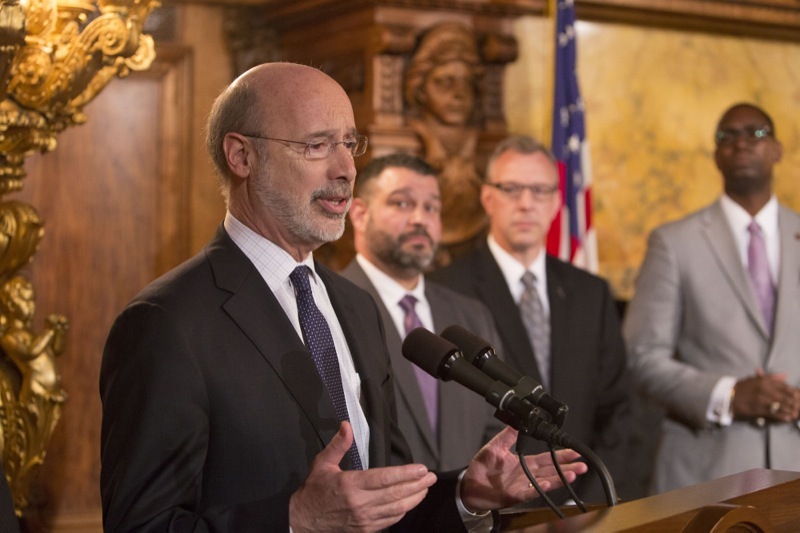 The agreement was supported by bipartisan majorities in both chambers before Republican House leaders failed to hold a final vote and left town prior to Christmas. 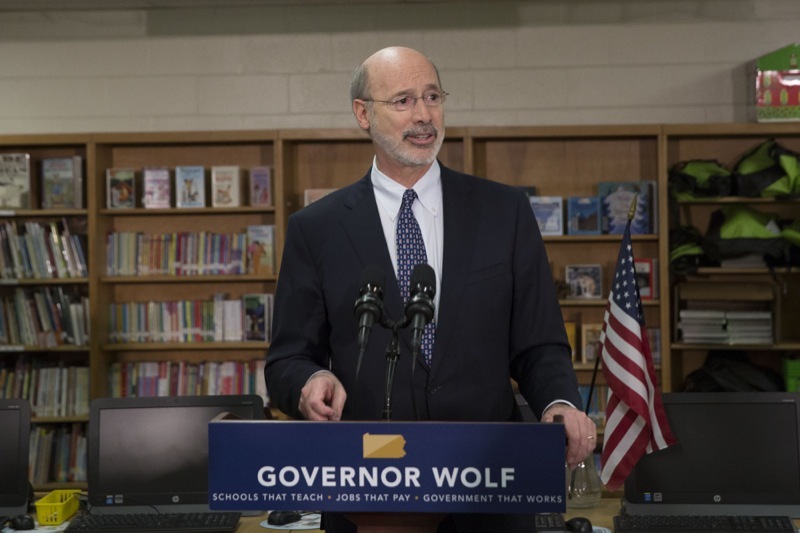 It will be distributed using the Fair Funding Formula created and unanimously adopted by the bipartisan Basic Education Funding Commission in June 2015. 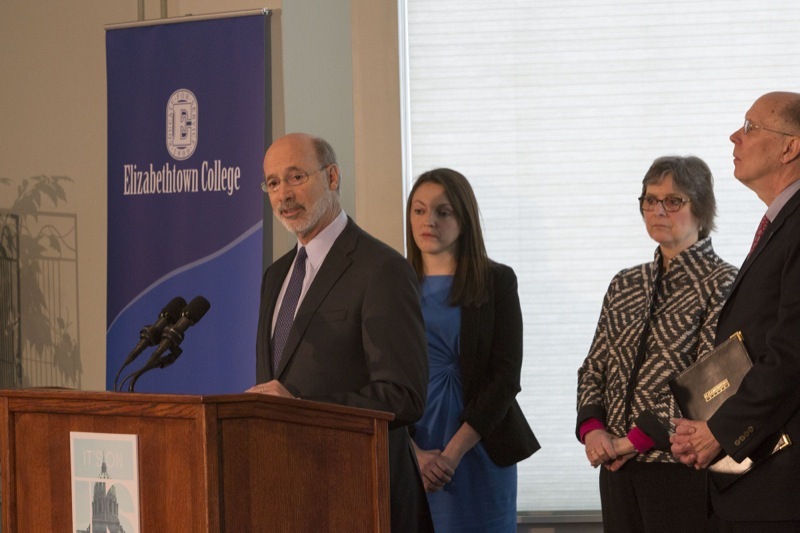 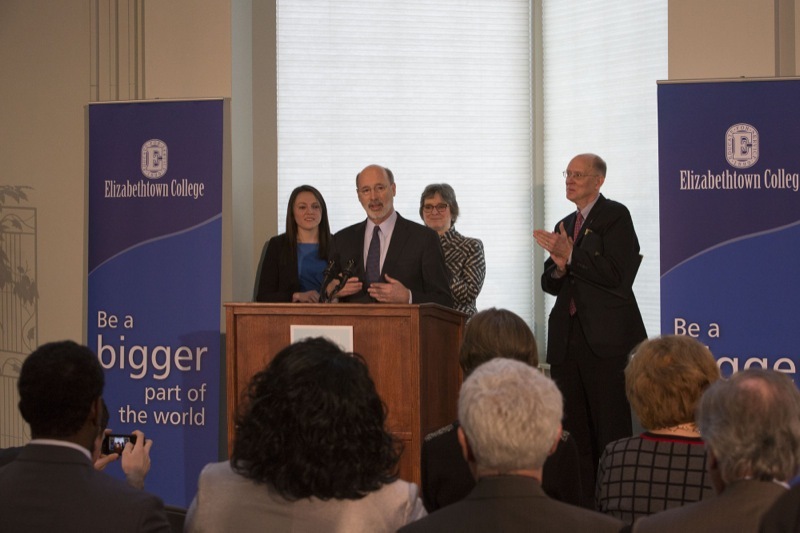 Governor Wolf Announces the Launch of 'It's On Us PA' Campus Sexual Assault Prevention Initiative, at Elizabethtown College. 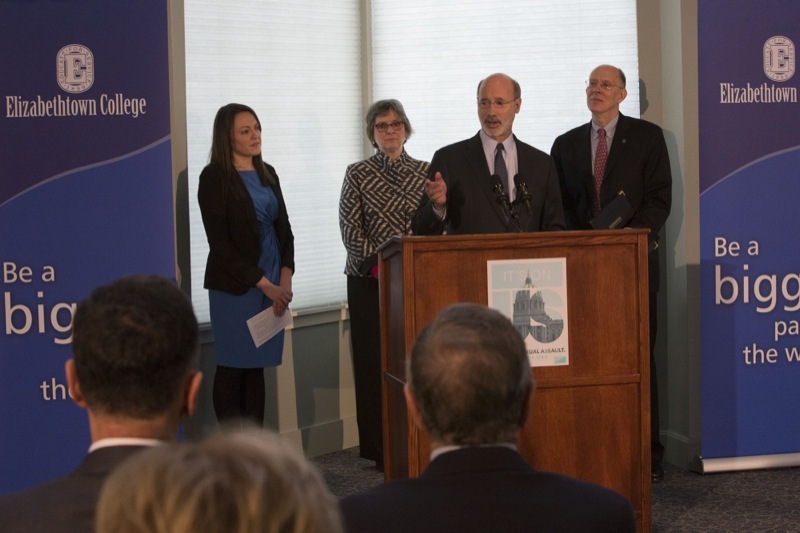 Governor Wolf today announced the launch of 'It's On Us PA' - the first statewide campaign to address the crisis of sexual assault in schools and on college campuses. 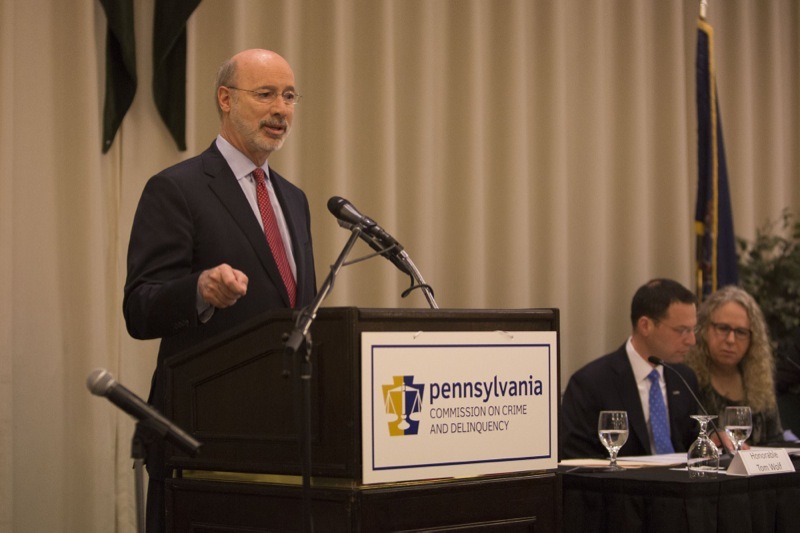 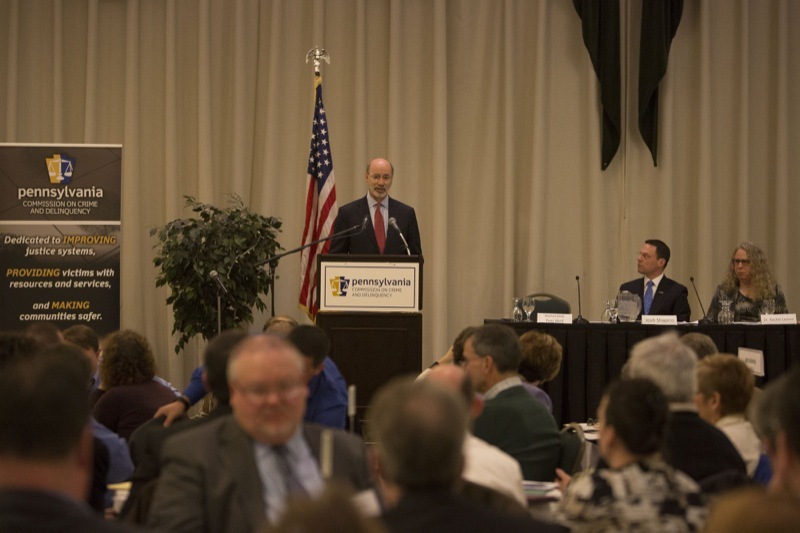 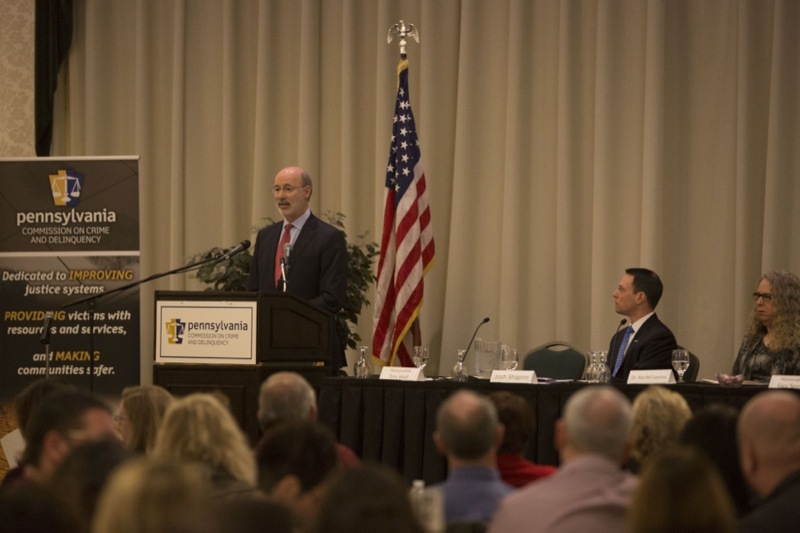 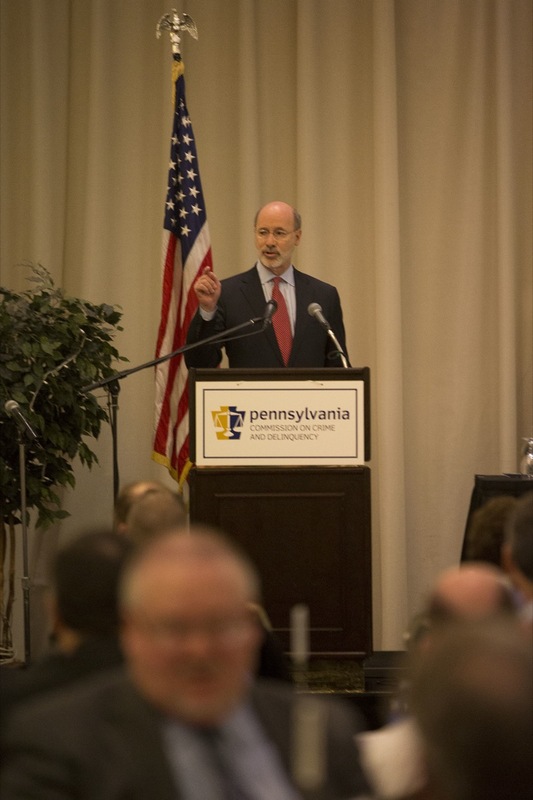 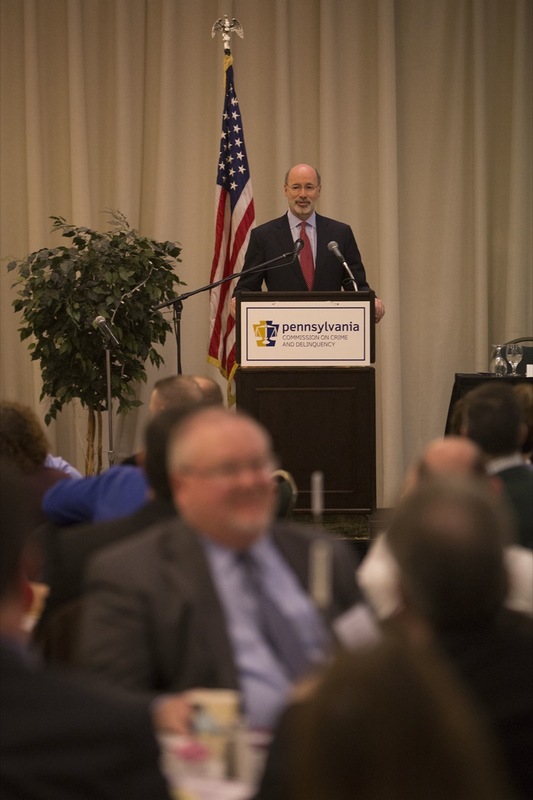 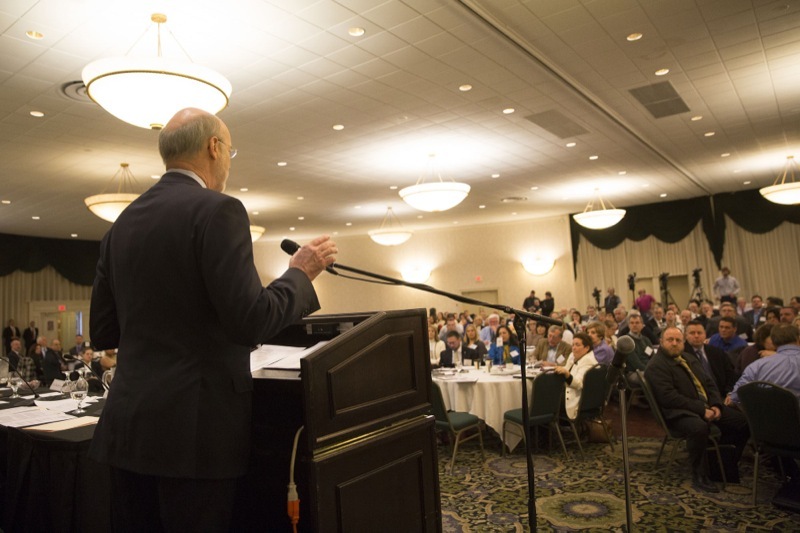 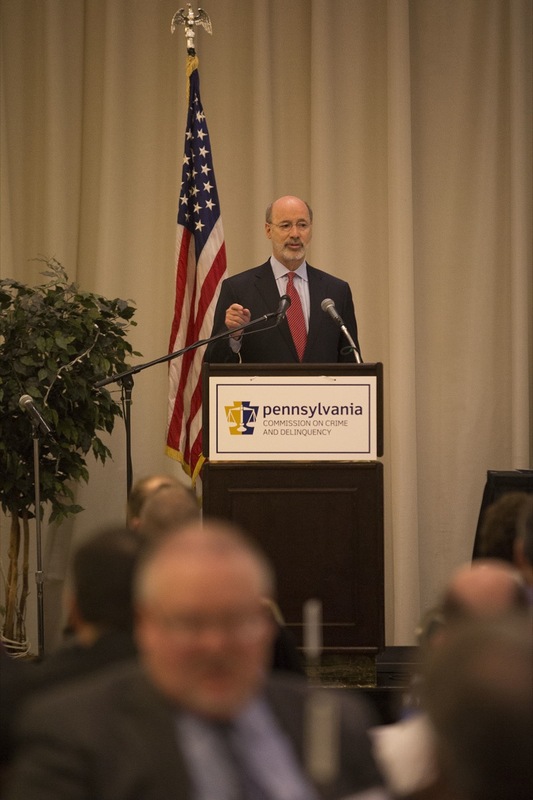 Camp Hill, PA - Governor Tom Wolf joined the Pennsylvania Commission on Crime and Delinquency (PCCD) today at the commission's 2016 Opioid Symposium, entitled 'Prevention, Intervention, Treatment, and Recovery.' 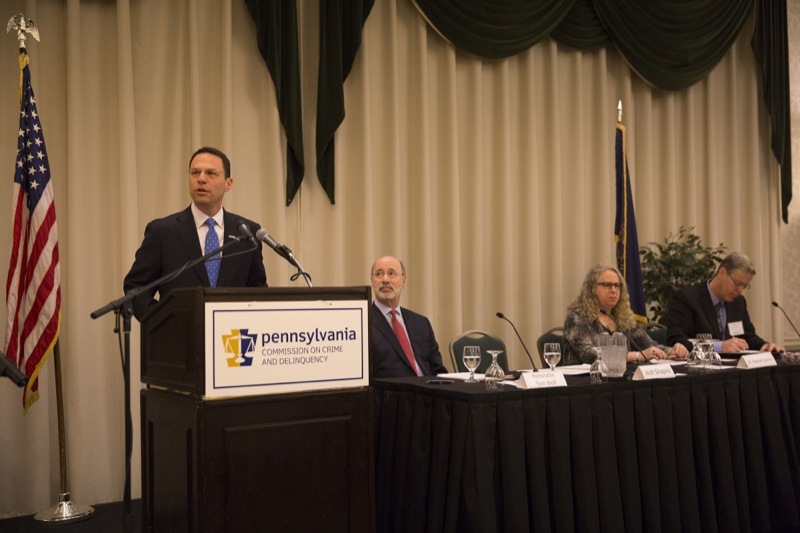 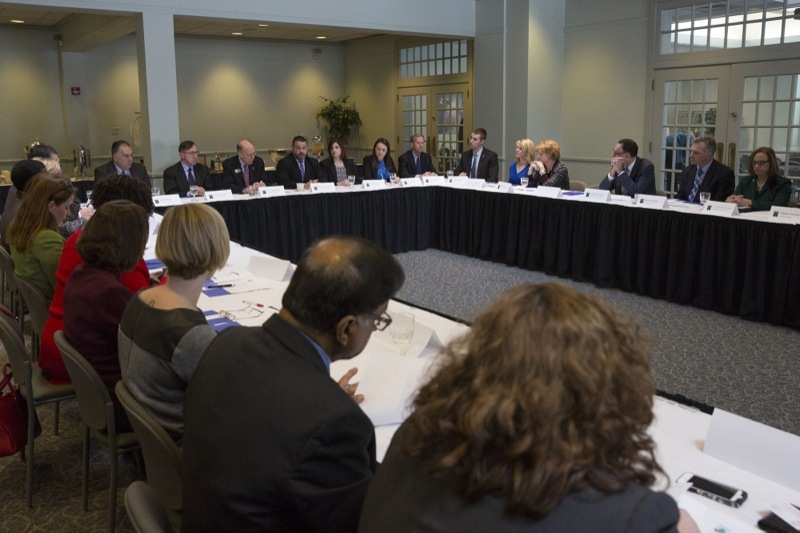 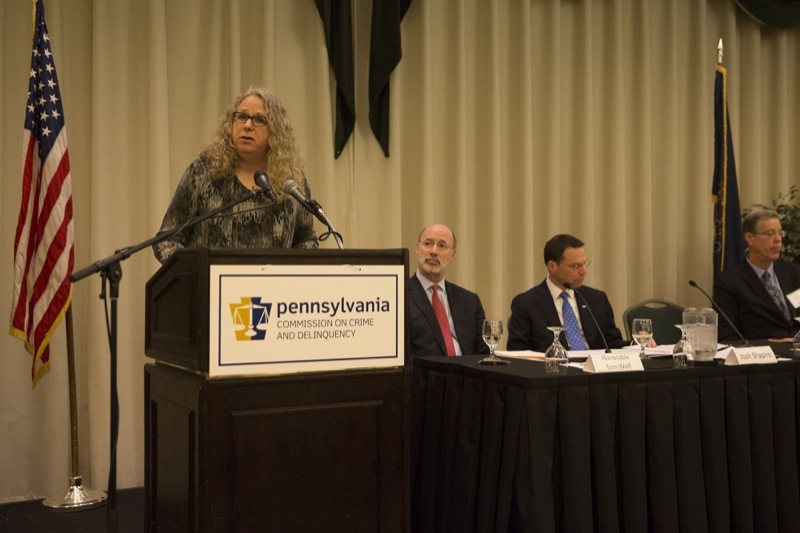 The governor joined Pennsylvania Commission on Crime and Delinquency Chairman Josh Shapiro, Physician General Dr. Rachel Levine, Department of Drug and Alcohol Programs Secretary Gary Tennis, and professionals in the law enforcement and healthcare fields to discuss statewide efforts to combat the opioid epidemic in Pennsylvania.